It’s like a dream come true when your affiliates help you register incremental sales that you have always dreamt of. Affiliate marketers can really be your rescue rangers to advertise effectively on your behalf, be it product listings or even banner ads. Affiliate program is conduct to generate advertisement that start from banner advertisement to the product listing and headed towards accelerated sales to meet the superior position in the competitive sales. 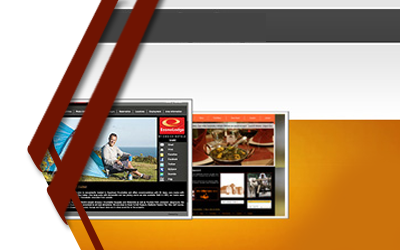 Among all the set of web advertising it is considered to be one of the best form of online marketing. Here you get the advantages of payment only for the sales that has been processed and hence somewhere you get the regular services through incalculable sales people. It is like enjoying the services of regular employee on commission pay only. Multipurpose nature: there are a set of website that are built to meet multiple purpose at one stop. They are customized in a way that they are efficient to handle even the toughest of all jobs. In case if you are involve in rendering online services, or if your site is meant to be extra communicative in nature or one that provides online transactions or any such services then you cannot go with the convectional concept website. Personal touch: in case if you are planning to develop such websites that could be changed in regard of appearance, content and feel by the user preference then nothing else except dynamic web designing could help you. Here every user gets experience of unique browsing as they can mould the site as per their preferences and could develop a feeling owned website in them. It directly helps in building the accolades and creditability of the site. Ease: whether the person who acquire the website possess the knowledge of coding or not can bring great alteration in it through dynamic website whereas in a static website without the guidance expert, any editing or alteration function cannot be performed. If the user wants to update their website whenever in nearest future than it can be done simply through the dynamic website.